The rarity of three piece suits makes the ability to wear one a prized asset to any stylish man’s wardrobe. Check our list of the best three-piece suits in 2018! Standing out in a crowd is as simple as adding a waistcoat – and when a simpler look is called for the vest can always be removed, unlike the equally striking but less flexible double-breasted jacket. Waistcoats add to the character of a basic 2-piece suit; a matching fabric waistcoat can transform a two piece suit to a level below evening wear but above simple business dress while a contrasting odd vest can make a drab grey outfit (and the man wearing it) more lively and approachable. 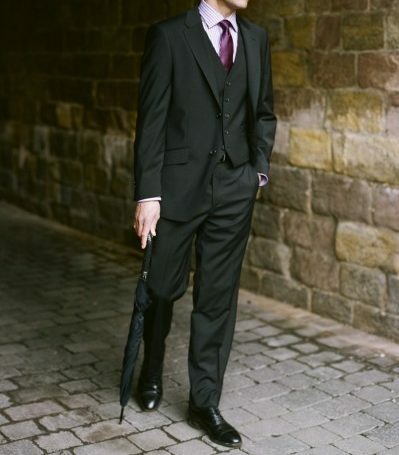 The vested or three piece suit is the matched outgrowth of the waistcoat; it commonly consists of a single-breasted jacket, a waistcoat, and trousers all made from the same material and lining. 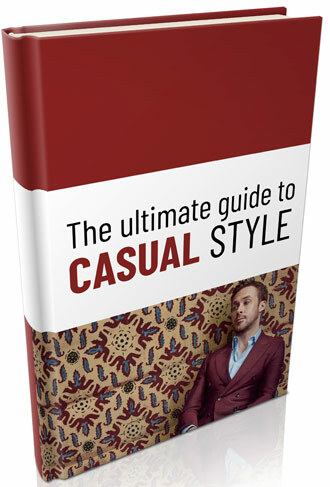 As this definition implies, an odd vest and suit – defined as a waistcoat made from a different fabric than the jacket and trouser – is not a true three piece suit. As aforementioned, depending on the fabric chosen an odd vest can raise or lower the outfit’s formality. However, for the purposes of this article we shall treat both outfits as three piece suits and use the words waistcoat and vest interchangeably. For more information on men’s vests and waistcoats, click here. Three piece suits were common until World War II, but lost their prominence when the War Board enforced cloth rationing that restricted tailors’ abilities to create vests. Add in the returning veteran’s new taste for a vest-less jacket (thanks to his uniform), better heating in workspaces, and the lower cost to forgo the waistcoat entirely, we saw a sharp decline in men’s vest sales. Since then the waistcoat has become an uncommon yet striking accent, going in and out of style regularly but always distinctive if worn well. For a man seeking a distinctive style, the three piece suit has obvious merits. A man can safely assume he will be one of the only people wearing a vested suit at most social occasions. It also creates a single, unbroken stretch of the suit fabric from ankles to shoulder. In a quality fabric, the smooth drape of cloth all the way along the body gives a man’s body a handsomely balanced appearance. Worn on its own, the waistcoat of a three piece suit is usually an acceptable piece of dress-casual clothing. The exception is any vest whose design clearly requires a jacket — the “backless” vests of formalwear are an excellent example; the simple straps that hold them together in the rear were never meant to be a visible element. Any full vest that falls low enough to cover the belt/waistband is an acceptable accent over a dress shirt, however, and in casual settings the sleeves of the shirt can be rolled up for an old-fashioned nod to working-class styles of the early 20th Century. Of course, a three piece suit can always become a two-piece suit through the simple expedient of leaving the waistcoat at home — unlike the double-breasted suit, the three-piece sacrifices no versatility for its elegance. Its only drawback (so long as the rest of the suit is well-made) is the added cost of the third garment. Vests are a surprisingly hard garment to fit properly — cautious tailors will often insist on making at least a shirt and a jacket for a man to familiarize themselves with his measurements and proportions before tackling a waistcoat. A well-made waistcoat will be tailored with the assumption that it will sometimes be the outermost garment, meaning that the fit needs to be appropriate even at points that are usually hidden beneath the jacket. The exception here is formal vests; since tuxedo or dinner jackets are never removed the accompanying waistcoats are often created “backless” for convenience and comfort and feature a simple strap in the back rather than a full span of cloth. Nearly every point on a vest has relevant benchmarks for fit. At the bottom, the vest should be long enough to completely cover the waistband of the pants. Any visible shirt around the waist will destroy the top-to-bottom sweep of the suit fabric. Too long of a vest starts to look absurd, so the trousers on a good three piece suit will be fitted high, around the natural waist, and should ideally be worn with suspenders. A belt may cause bulging in the waistcoat fabric and will be completely hidden, rendering it unnecessary. The top of the vest should be high enough to be visible when the jacket is buttoned (there wouldn’t be a lot of point in a vested suit if it was hidden half the time). An inch or two is ample, however — the vest should leave plenty of necktie visible, or else the man’s chest starts to look constricted. The neckline should be broad enough that the fabric of the vest doesn’t cover the points of the shirt collar or slip beneath them. A good waistcoat should be fitted; that is, it should have a distinct waist. 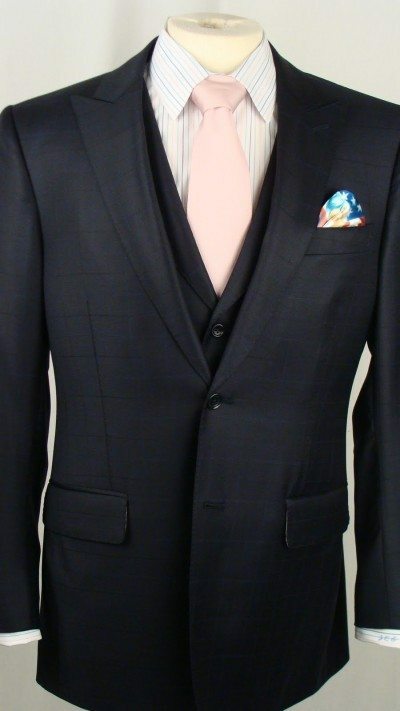 Like a suit jacket, the fabric should come in at least slightly at the narrowest point on the wearer’s body. Most will be somewhat adjustable by means of a strap in the back. The formality of a three piece suit is such that it requires a necktie. Since only a few inches of the tie are visible, the knot should be tied with extra care. Particularly bulky ties (knits especially) may create a bulge under the front of the vest, and should be avoided. The end of the tie should not stick out from under the bottom of the waistcoat. If a tie is a good match but a touch too long, it can always be tucked into the trousers. 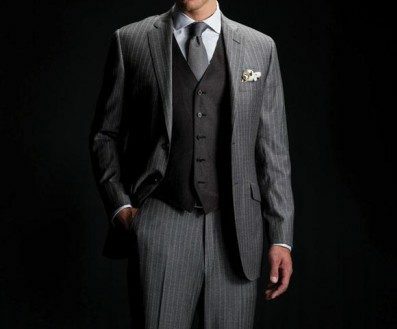 It is possible to wear a vested suit with a waistcoat that does not match the jacket and trousers. 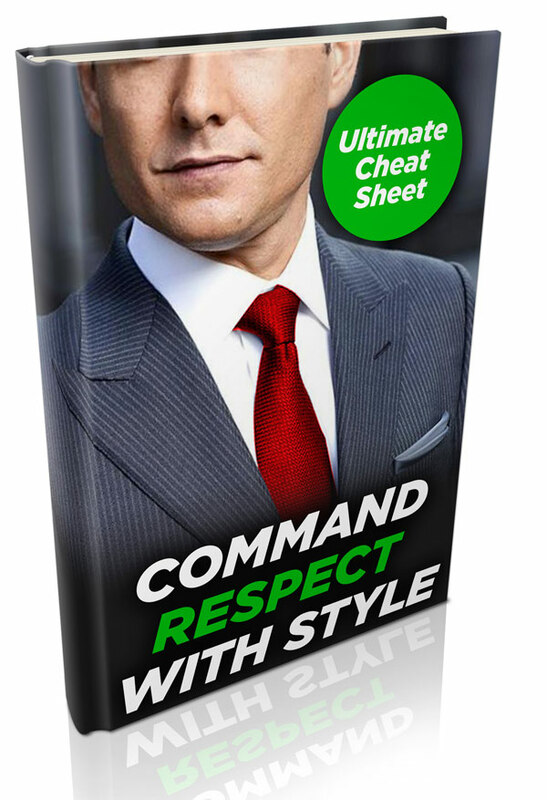 This is even less common than the usual matched approach and does bring the formality of the outfit down somewhat, but it can make for a very elegant appearance if the colors are chosen carefully. Dark green vests pair well with brown suits, or brown vests can be worn with navy jackets, and so on. So long as the colors are distinct enough to contrast but not so bright as to seem overstated an unmatched waistcoat is acceptable and even attractive (though still less formal than matched). Avoid the brightly-colored vests that rental outlets sometimes suggest for formal dress — these are essentially a novelty, and have no place in any man’s regular wardrobe. In an odd footnote to fashion, most waistcoats are designed with the understanding that the bottom button will be left undone. There is no practical reason for this. The most popular explanation is that Edward VII of the United Kingdom began appearing in public with his bottom button undone, probably for comfort, and imitators picked the habit up until it became standard. There is nothing wrong with leaving the bottom button fastened, but it may cause bunching if the vest was tailored with the expectation that it would be left undone. Vested suits share most of their disadvantages with the double-breasted jacket. They must be kept buttoned for formality’s sake and they add a layer of cloth across the midsection that may be hot or uncomfortable in humid climates. Small men risk looking swallowed by their clothing, and the vest creates an unbroken plane of fabric that can make tall men appear looming. Very wide men may have trouble fitting a vest that doesn’t seem to hang off the edge of their belly (though wearing the trousers high on the waist helps quite a bit). Despite the drawbacks, the vested suit remains a worthwhile investment for men looking to add class and formality to their dress wardrobe. It offers a distinctive elegance, and in some settings the vest or the jacket over it can be removed to offer relief from the added layer of cloth. The timeless style of the three piece suit is worth experimenting with for any man, whether it becomes a staple of his wardrobe or not.